powered by AT&T Fiber. Learn more. Power all your devices with the fast, reliable speed of AT&T Fiber. That means songs download in a fraction of the time it used to take, and full-length movies are ready to stream in a matter of seconds. Imagine all you could accomplish with the time saved! When you choose AT&T Internet service you also get access to the entire national AT&T Wi-Fi Hot Spot network included. Download the AT&T Smart Wi-Fi app and locate the closest Wi-Fi hotspot, with thousands to choose from. You can even connect automatically whenever you’re in range, saving your mobile data and conserving battery life †. †Wi-Fi enabled device required. Other restrictions apply. See www.attwifi.com for details and locations. 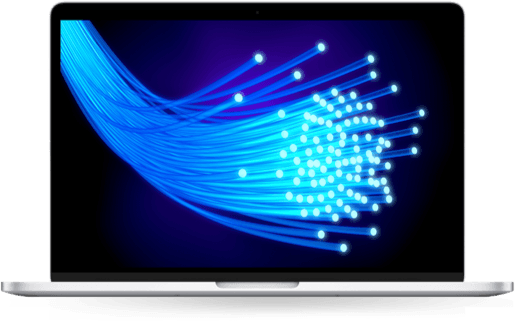 ^Claim based on internet service delivered utilizing fiber optic technology. w/12 mo agmt, other qualifying scv (min $19/mo) & combined bill. Incl unlimited internet data allowance ($30-value). See offer details. $60 Internet 1000 Offer: Ends 5/31/19. New residential AT&T Internet customers in select AT&T Fiber locations (Atlanta, Austin, Charlotte, Cleveland, Dallas-Ft. Worth, Houston, Indianapolis, Louisville, Miami-Ft. Lauderdale, Nashville, New Orleans, Oklahoma City, Orlando (Daytona Beach/Melborne), San Antonio, San Diego). Eligibility based on billing ZIP code. Price requires bundle with another qualifying AT&T service (TV (Uverse or DIRECTV)/AT&T Phone/postpaid Wireless. Pricing for first 12 months only. After 12 mos., the rate increases to $80/mo unless canceled by customer prior to end of 12 months. Prorated ETF ($180) applies if Internet is disconnected before end of 12 months. Must maintain qualifying bundled services with matching service address in promotional market to receive advertised pricing. Other charges: Excludes cost-recovery charges, where applicable. Credit restrictions apply. Pricing subj to change. Select MDU residents, AT&T Employees/Retirees not eligible. Subj. to Internet Terms of Service at att.com/internet-terms. AT&T offers internet speeds for every type of user. Check out the graph below to see how download times vary between Internet speeds. You've never seen Internet like this before. AT&T Fiber gives you ultra-fast speed for a technology-driven lifestyle. Actual customer speeds may vary and are not guaranteed. Download speeds (up to 940Mbps for Internet 1000) are typically due to overhead capacity reserved to deliver the data. Speeds may also vary based on factors including site traffic, content provider server capacity, internal network management factors, and end user device capabilities. For more information, go to att.com/speed101. Use your AT&T Internet log in information to access any hotspot and stay connected wherever life takes you. No one enjoys connectivity or network problems. But thanks to the 24 hour, 7 days a week, expert technical support from AT&T you won't have to navigate issues alone. However you use the Internet, make sure you do it safely. AT&T Internet Security Suite contains a robust collection of tools to safeguard your computer against online threats. Prevent technical nuisances like pop-ups, email spam, and spyware with proactive performance scans from security partner McAfee. Get the Internet service you need and the U-verse entertainment your family craves. AT&T bundles are the perfect way to connect your home, without breaking your budget. Bundle with AT&T and enjoy a single monthly statement, one account log-on, and 24/7 access online for all your home services. Bundle AT&T Internet 1000 and AT&T U-verse TV U300, $133/mo. Plus taxes* For 12 mos w/12-mo TV & Internet agmts, $5/mo. discount. Autopay & paperless bill req'd. Up to $7.99/mo Broadcast & add’l fees apply. Incl unlimited data allowance ($30 value) at no add’l charge.† * NEW RESIDENTIAL CUSTOMERS ONLY. $35 ACTIVATION, EARLY TERMINATION FEES ($15/MO. FOR TV; $15/MO. FOR INTERNET) FOR EACH MONTH REMAINING ON AGMT, EQUIPMENT NON-RETURN & ADD’L FEES APPLY. Price is after $5/mo. autopay discount for 12 mos. Pay $150/mo. + taxes until discount starts w/in 3 bills. Restr’s apply. $140 1-YR BUNDLE PRICE: Ends 6/30/19. Pricing: $140/mo for first 12 mos. only. After 12 mos. or loss of eligibility, then prevailing rate applies (currently $204/mo. ), unless cancelled or changed prior to end of promo period. Must maintain all qualifying services to receive advertised pricing. Pricing subj to change. $5/mo. discount: Must enroll in autopay & paperless bill w/in 30 days of TV activation to receive bill credit starting in 1-3 bill cycles. First time credit will include all credits earned since meeting offer requirements. Must maintain autopay/paperless bill and valid email address to continue credits. No credits in 2nd year for autopay. Includes: U300 All-Included TV Pkg., Internet 1000M plan, HD service, monthly equip fees for 1 HD DVR, a Wi-Fi Gateway, and standard pro installation. Exclusions: Price excludes applicable use tax expense surcharge on retail value of installation, custom installation, equipment upgrades/add-ons (each add’l receiver $10/mo) & other charges, including Broadcast Fee (up to $7.99/mo), a federal regulatory video cost recovery chrg and city video cost recovery fees. Credit restr’s apply. Different offers may apply for eligible multi-dwelling unit customers. Pricing, programming, features subj to change at any time without notice. Subject to AT&T U-verse TV Terms of Service (at att.com/legal).